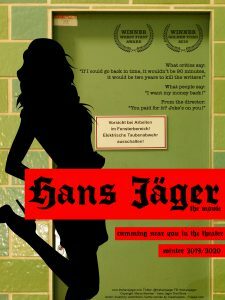 Hans Jäger – the movie! Our first feature is finally in its crucial stages of pre production! We’re still looking for more members of our cast and crew and any support we can get! Click on the film poster below and check out our dedicated movie page for more information! i poop, Some rights reserved.